John served as the University of Pennsylvania’s coordinator for a multi-year, $28.5 million Citizens Bank commitment to provide mortgages, home improvement loans, small business financing, and grant funding to support reinvestment in West Philadelphia neighborhoods. In this role, John helped the bank leverage substantial commitments of private funds for housing rehabilitation, business development, and community-based programs and services (2002-07). At the request of Allentown Mayor Ed Pawlowski, John designed an asset management strategy for the city’s downtown-area neighborhoods, where deteriorating properties controlled by absentee investors had threatened previously stable blocks. Following the endorsement of the strategy by the Mayor and City Council, a realignment of the city’s code enforcement practices led to significant improvements within two years. (2007-09). 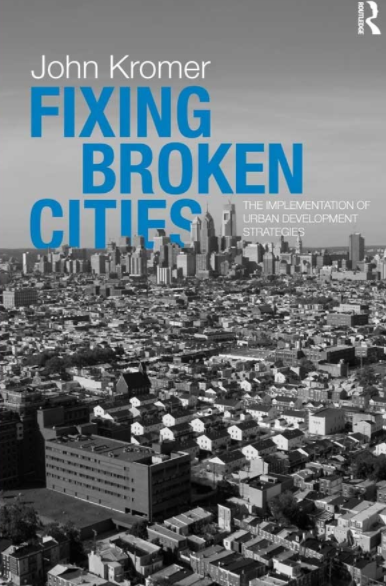 As the central focus of a housing strategy completed for the City of Reading, PA, John called for substantial upgrading of the city’s rental property maintenance standards and practices and a renewed emphasis on providing quality market-rate rental housing options to attract middle-income residents. The strategy was approved by Reading’s City Council in December 2011 and is currently being implemented (2010-12). With funding support from the William Penn Foundation, John led a Penn team that completed an assessment of the economic and social impacts associated with reinvestment in two Philadelphia neighborhoods over a ten-year period. Digitized vacant property inventories that had been completed by housing agency staff under John’s direction in 1998 were updated by the Penn team in 2008 and 2009 in order to assess neighborhood change on a property-by-property basis (2008-09). Completed the first comprehensive analysis of the City of Philadelphia’s extraordinarily successful ten-year real estate tax abatement. This initiative attracted major new investment in new construction and property rehabilitation that transformed the city’s downtown area but had relatively little impact in weak neighborhood real estate markets. A new approach for broadening the benefit of the tax abatement program without limiting its effectiveness in stimulating market-rate development is to be included in a policy paper that John is completing for publication in 2012 (2006, 2012).